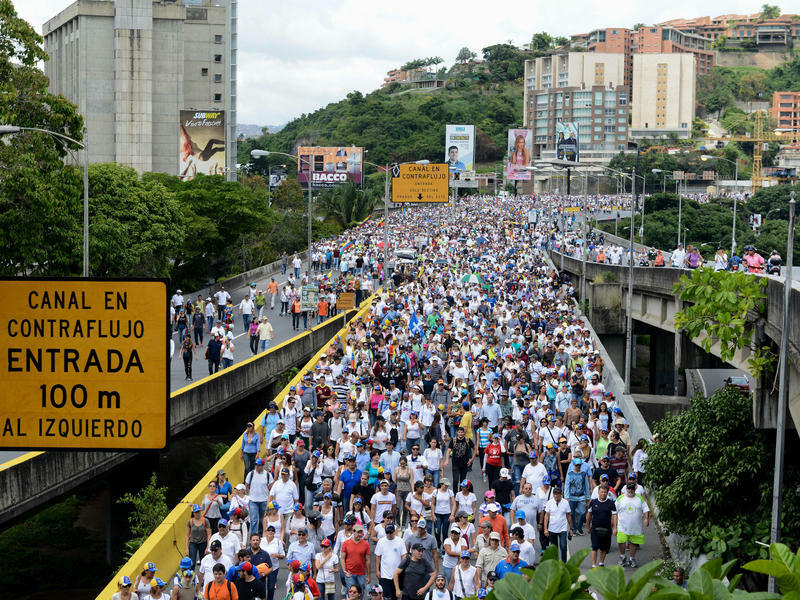 Millions of Venezuelans marching on 20 May 2017 during the We Are Millions march. President Nicolás Maduro refused the results of an nonbinding referendum in mid-July opposing his National Constituent Assembly. More than 1,000 Venezuelans in the San Antonio area turned out to show solidarity by casting votes in this symbolic referendum. Critics say inflated turnout numbers for this weekend's vote – three times more than the unofficial referendum two weeks earlier – amount to "electoral fraud." In response, the United States announced financial sanctions against Maduro's government on Monday. 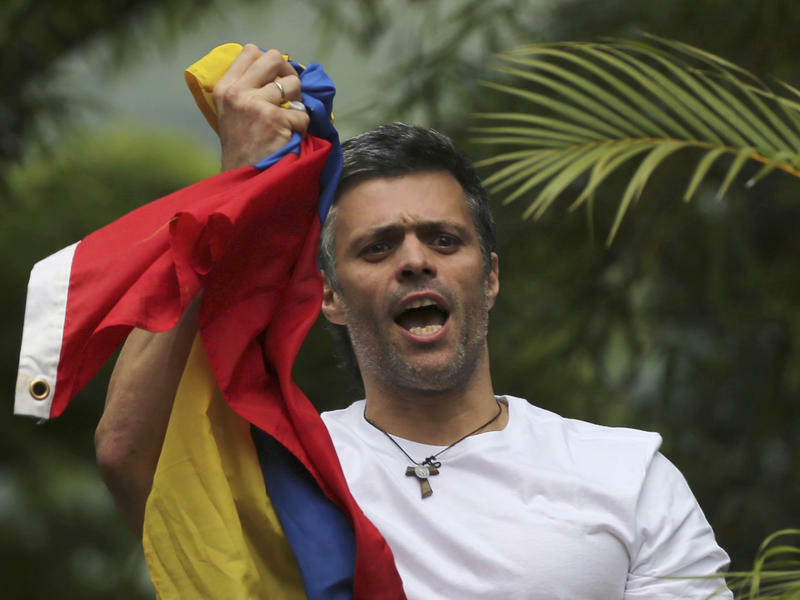 Two prominent leaders of the opposition were allegedly taken from their homes by Venezuelan intelligence officials and jailed on Tuesday. Violence between protesters and police continues to escalate. The Venezuelan attorney general's office estimates that more than 125 people have been killed since clashes began in April and at least 16 are dead since Sunday. How are Venezuelan expatriates living in San Antonio affected by this political turmoil? What's next for the embattled country and what are the potential implications for Latin America? Visit avsatx.com for information about donations. Tickets for the Venezuelan Association of San Antonio's "Fiesta Bailable" can be found here. 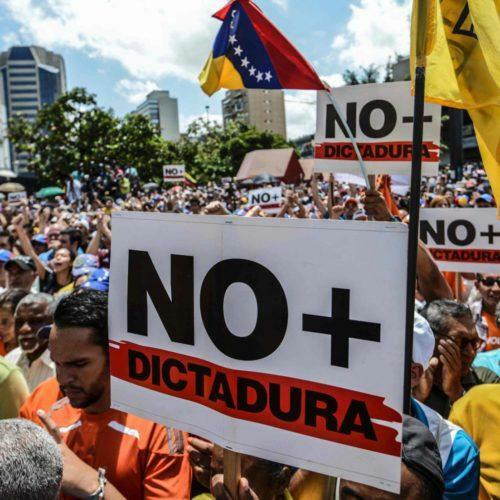 Last week, dozens of Venezuelans living in Texas protested in front of the Venezuelan consulate in Houston, in support of their country’s opposition movement. 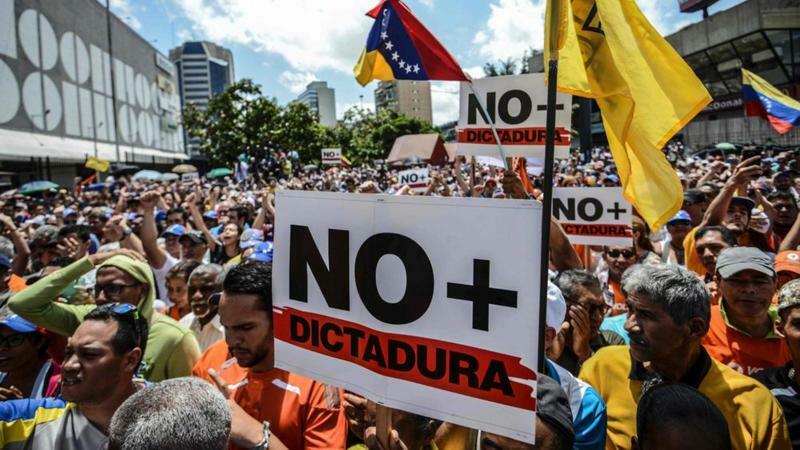 Anti-government protests in Venezuela are entering their third week and at least five people have died so far in clashes between protesters and riot police.